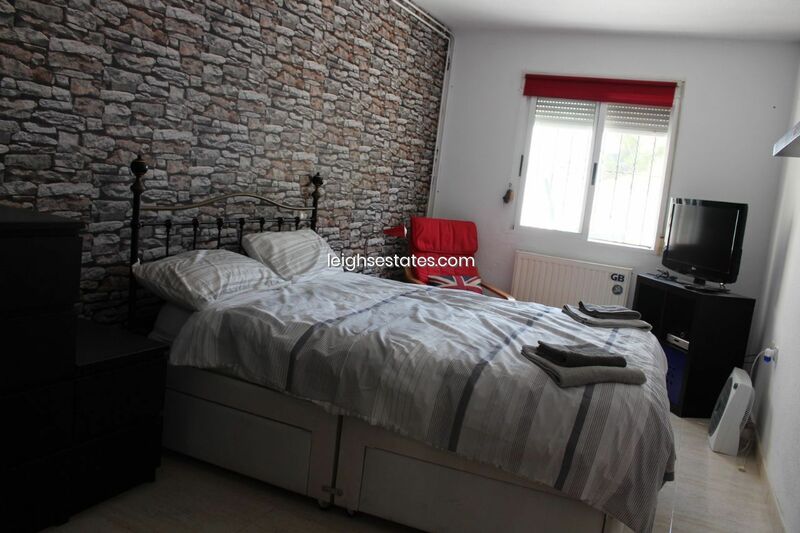 A deceptively large family home located in the heart of the village, Great location just a 2 minute walk from the high street with it´s fine selection of amenities. 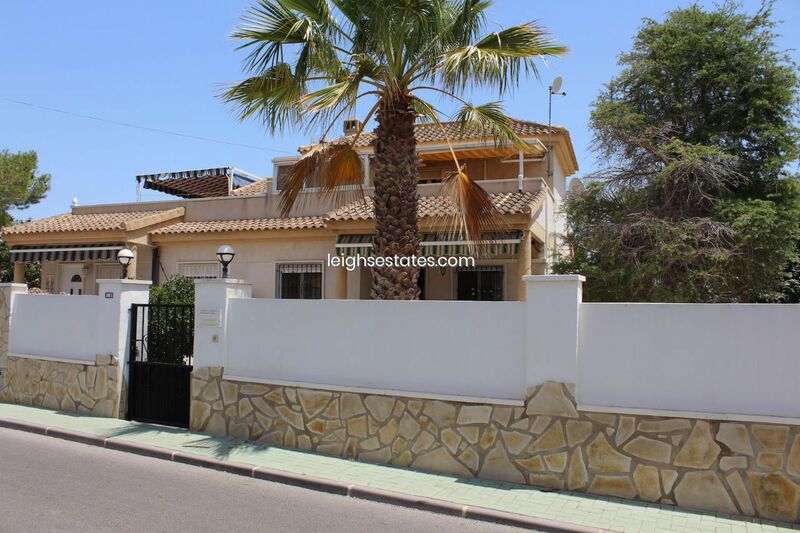 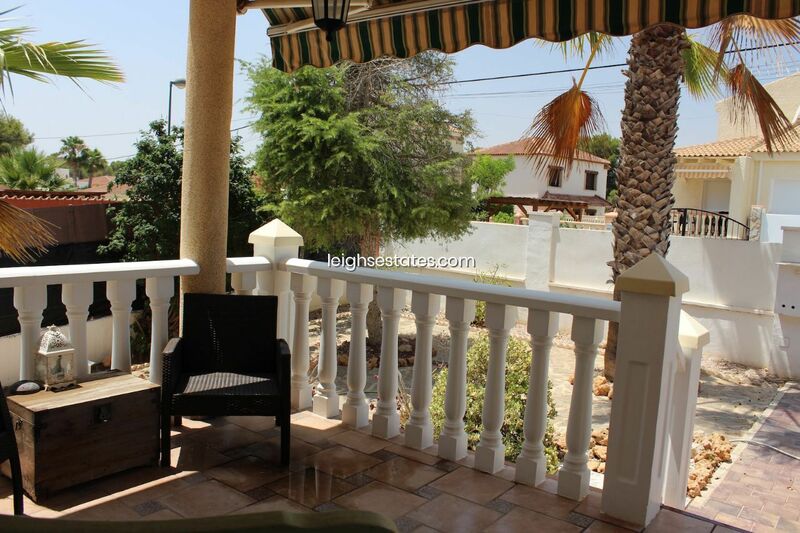 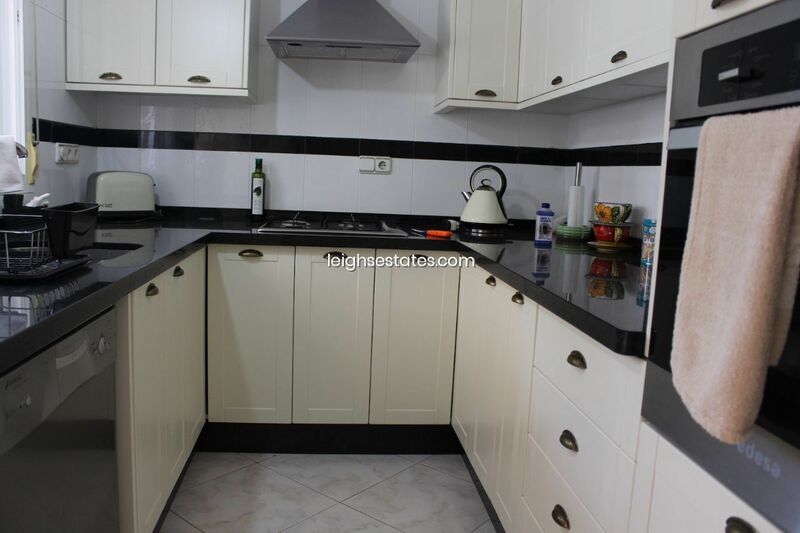 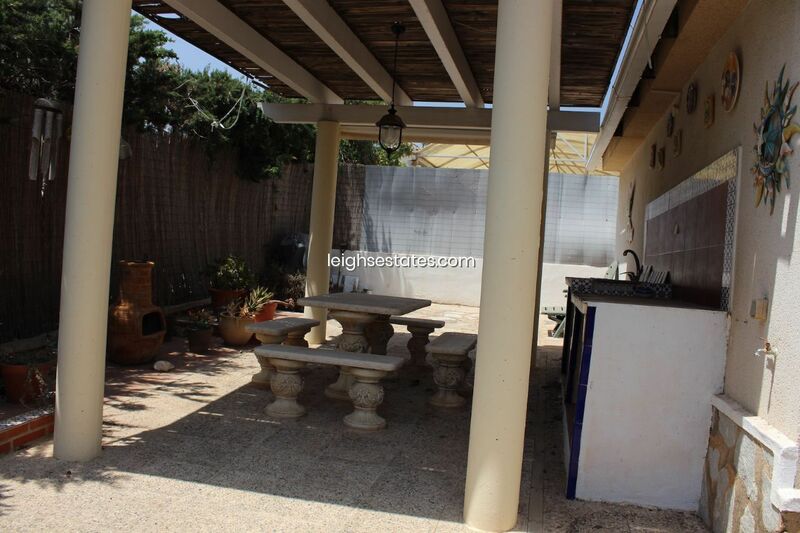 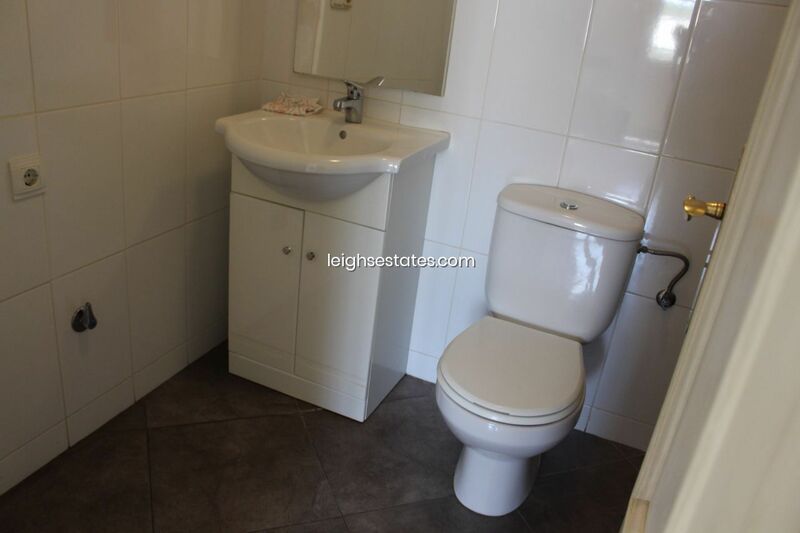 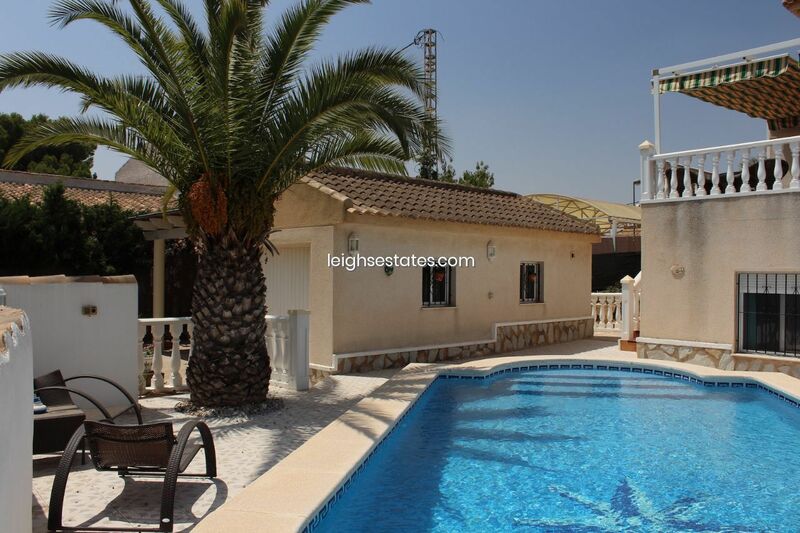 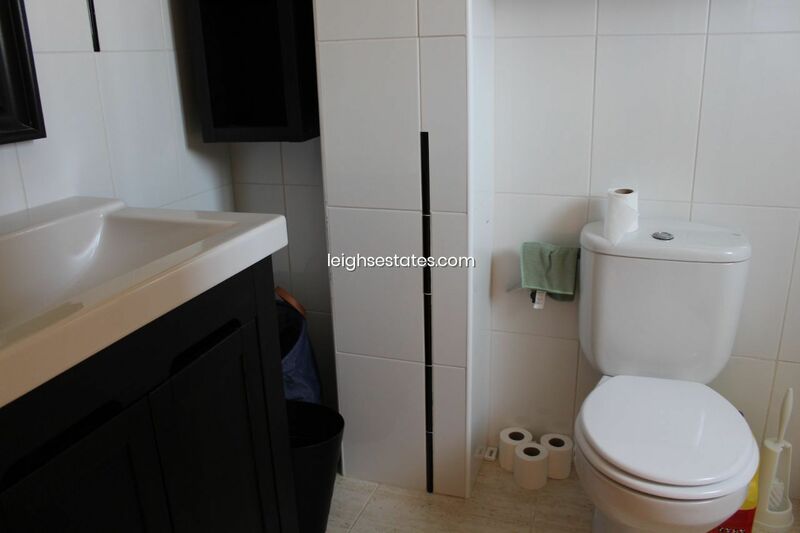 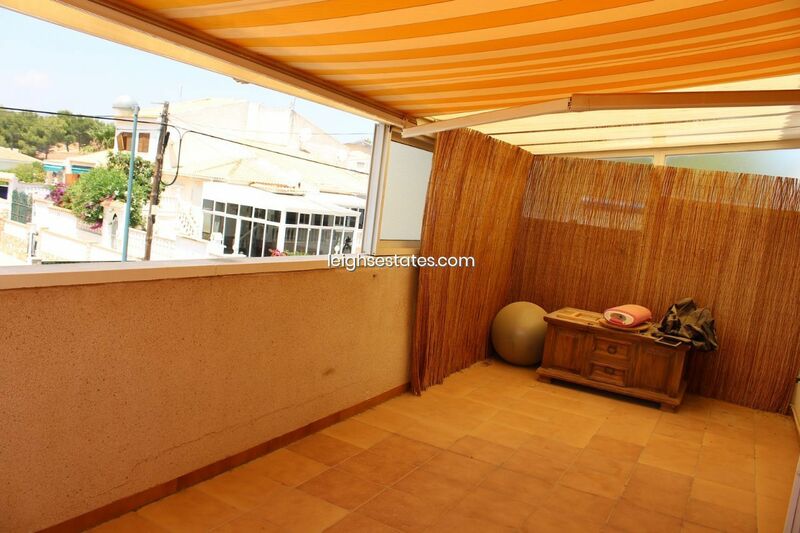 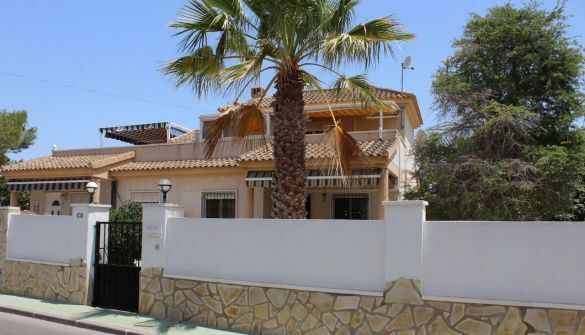 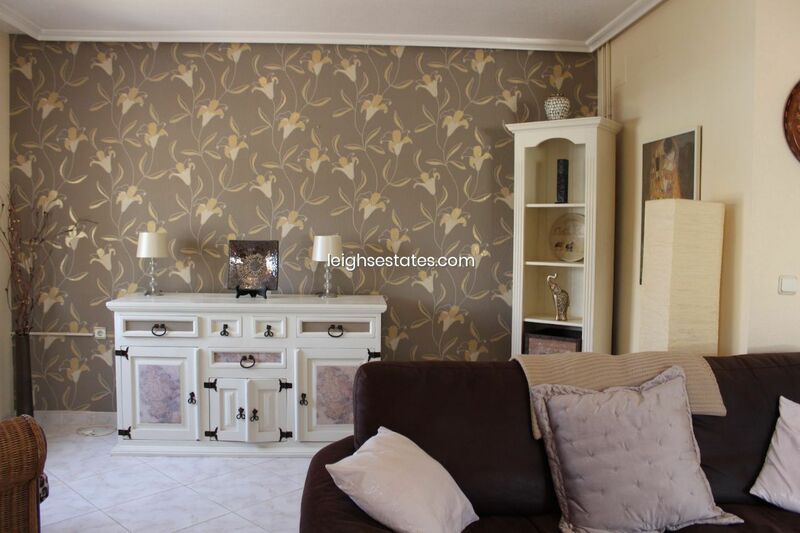 This semi detached villa has 4 bedrooms 2 bathrooms incorporating a self contained guest apartment with its own access consisting of two bedrooms, kitchen and family bathroom. 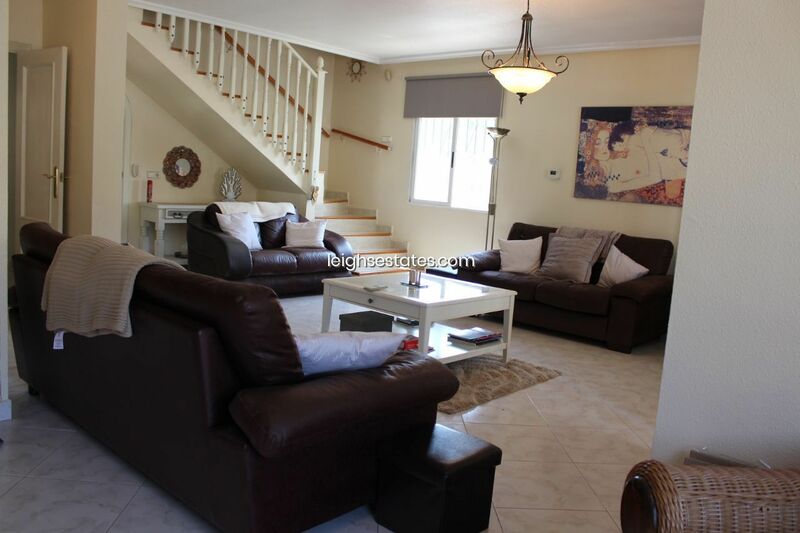 In the main house the other two bedrooms, master having a large terrace with electric sun blind, walk in wardrobe, en suite shower room. 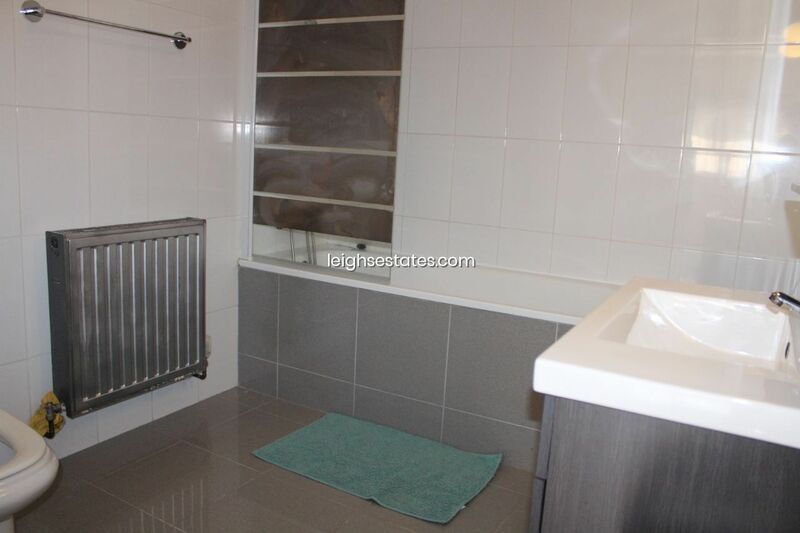 Downstairs is a toilet that could easily be converted into another shower room. 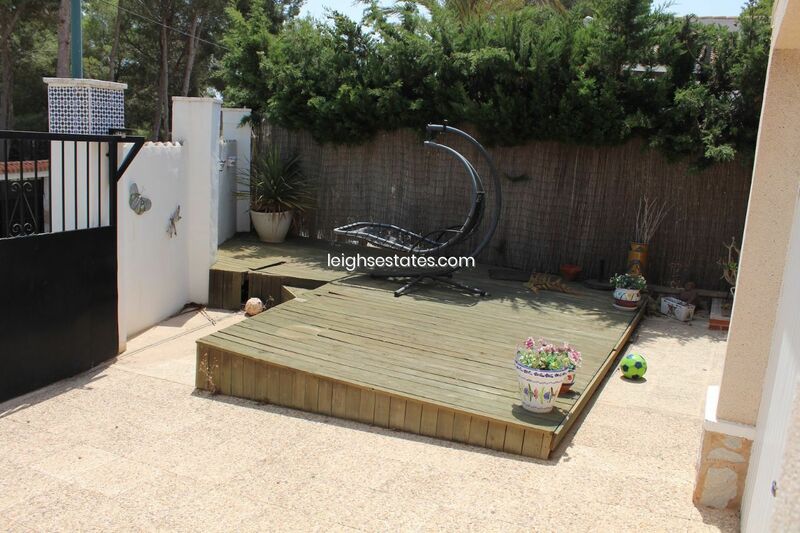 Large open lounge, covered porch, independent modern kitchen with an extension off to the rear which is used as a dining room, this has an additional terrace with stairs leading down to the pool area. 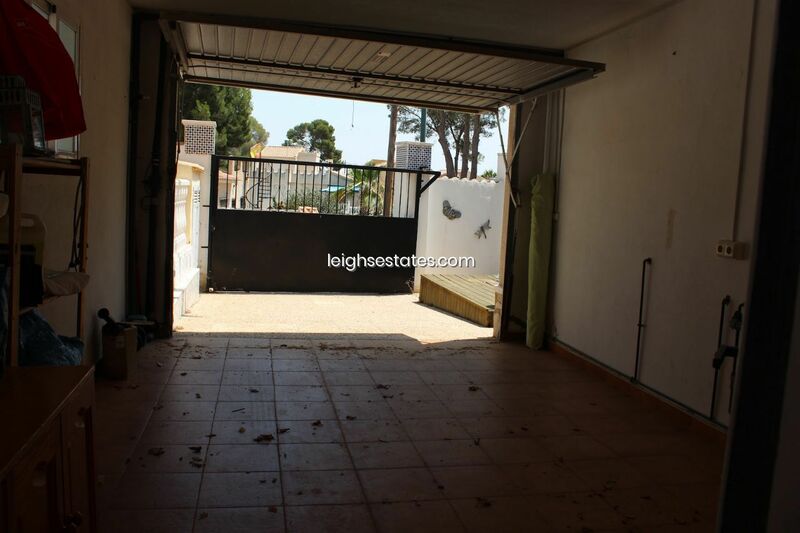 Separate garage with big store room, outside kitchen/BBQ area and decking. 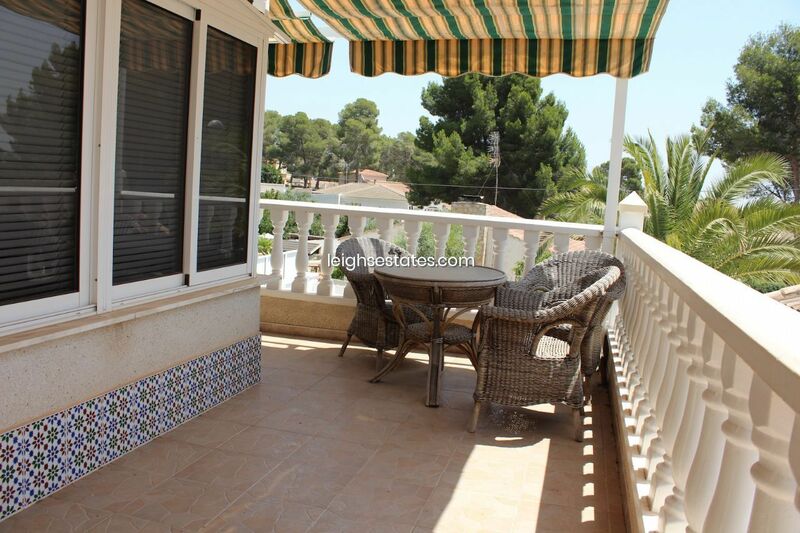 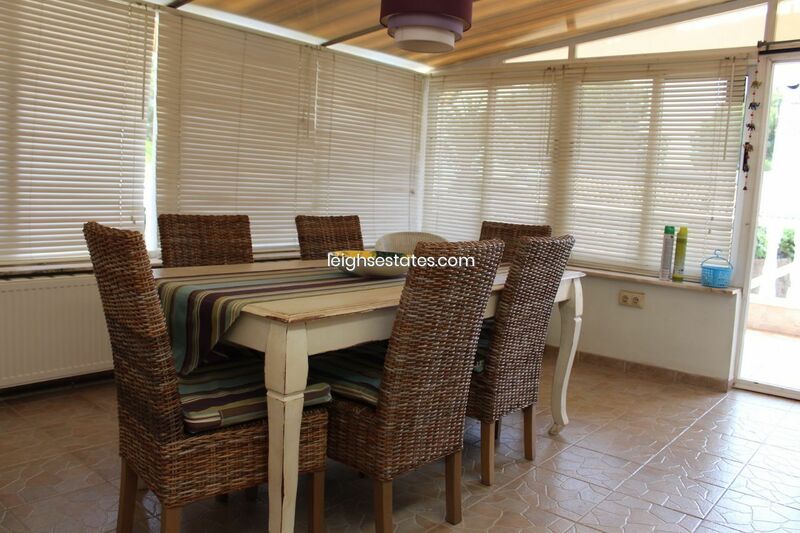 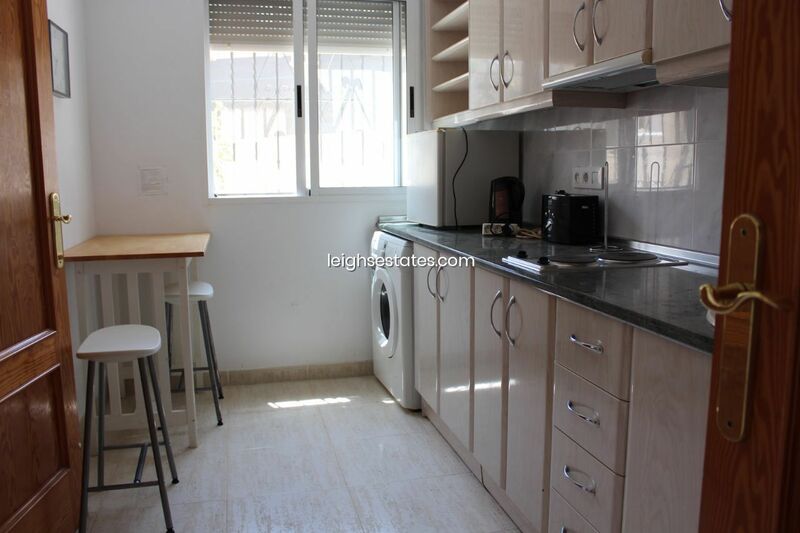 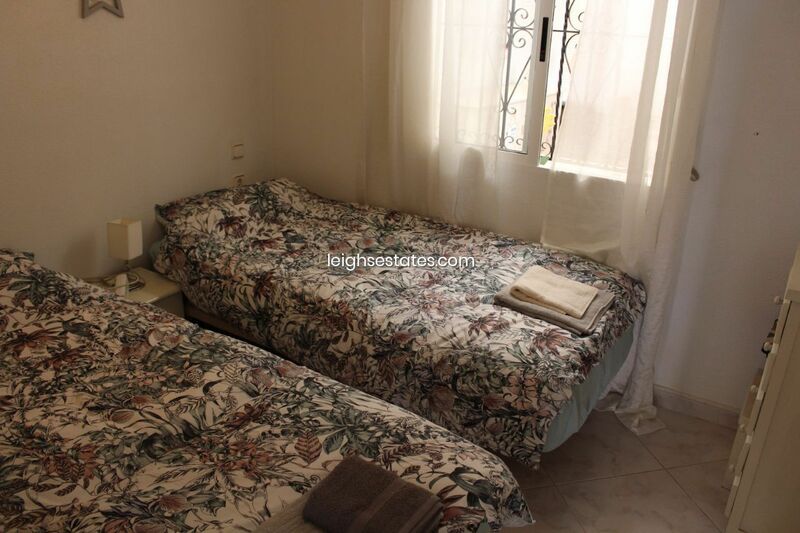 The property comes part furnished, air conditioned and has oil fired central heating throughout.